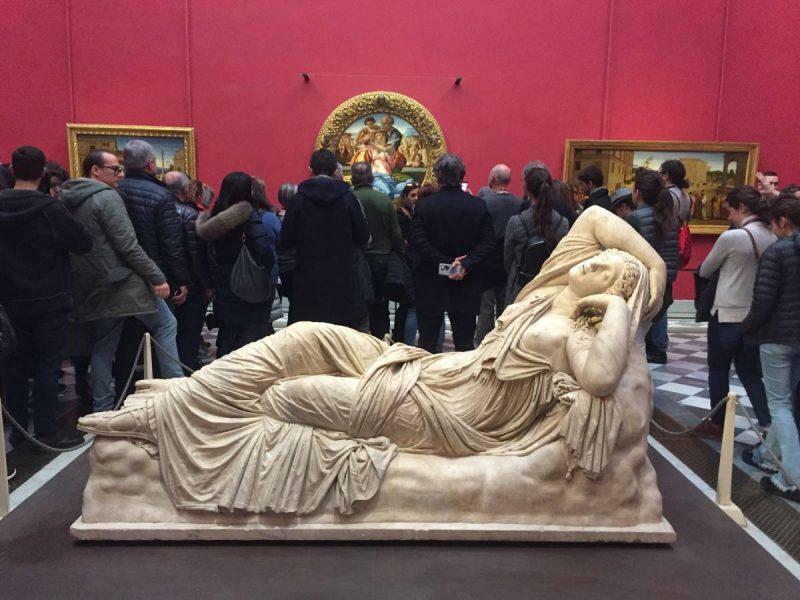 First-time travelers may dream of visiting Rome, but seasoned visitors know the heart of Italian art, music and cuisine lies in Florence, Italy. Home to greats like Michelangelo, Dante and Donatello, Florence is a city of masterpieces. So many, that it’s hard to know where to begin your sightseeing. Those with at least 2 days in the city will find the Firenze Card to be their best investment. For a flat rate of 72 Euro, you get admission to all the major attractions for 72 hours and skip the lines, a benefit worth 72 Euro in and of itself during peak season. Known as the birthplace of the Italian Renaissance, Firenze is reminiscent of a sprawling castle, with massive wooden doors and impressive displays of masonry throughout. Stay by the Duomo to be in the center of the action or the Oltrarno neighborhood if you’re seeking a more local experience. Florence is a walkable city, with all major attractions within a 15 minute stroll of each other. 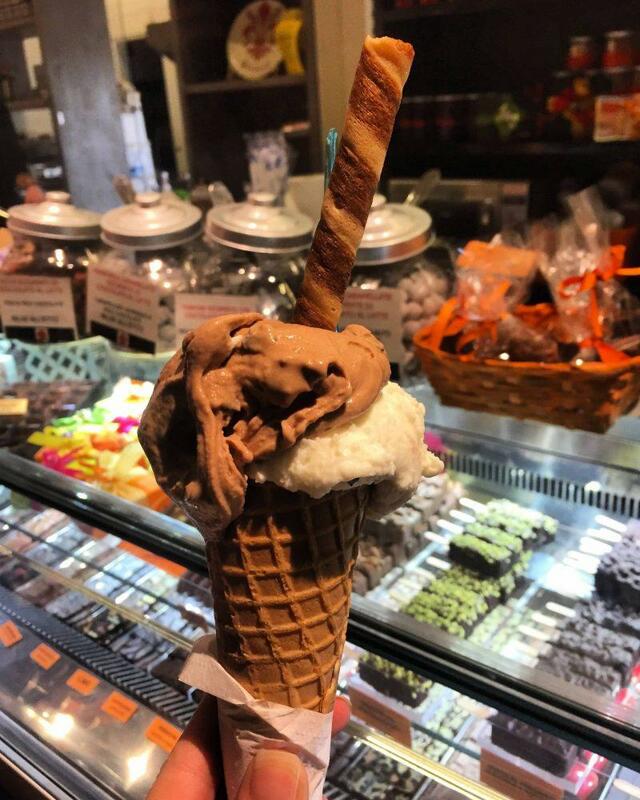 Should you need a boost of energy along the way, simply stop by your nearest gelato shop for a sugar fix—there should be one on almost every corner. If you want to make the most out of your time in Florence, make sure these activities are on your Florence checklist. 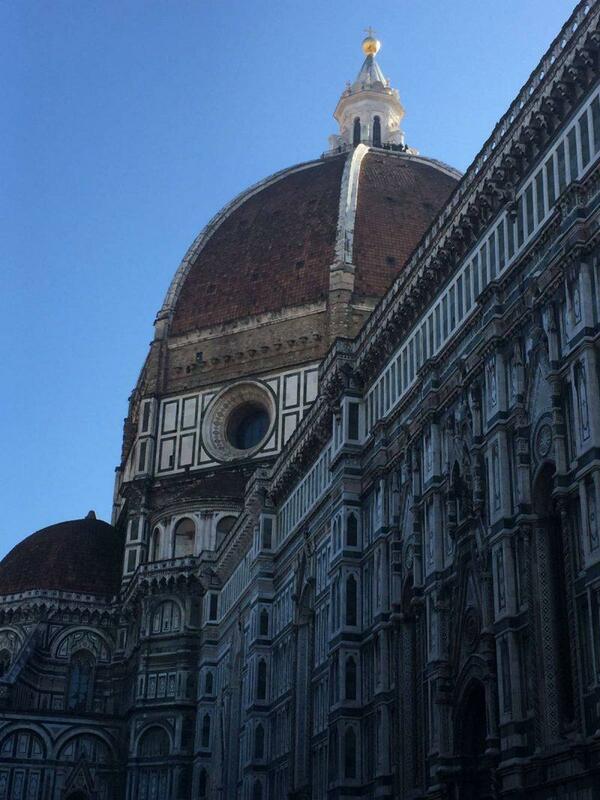 Most people picture the Duomo as just one building; the red dome that has become synonymous with Florence. 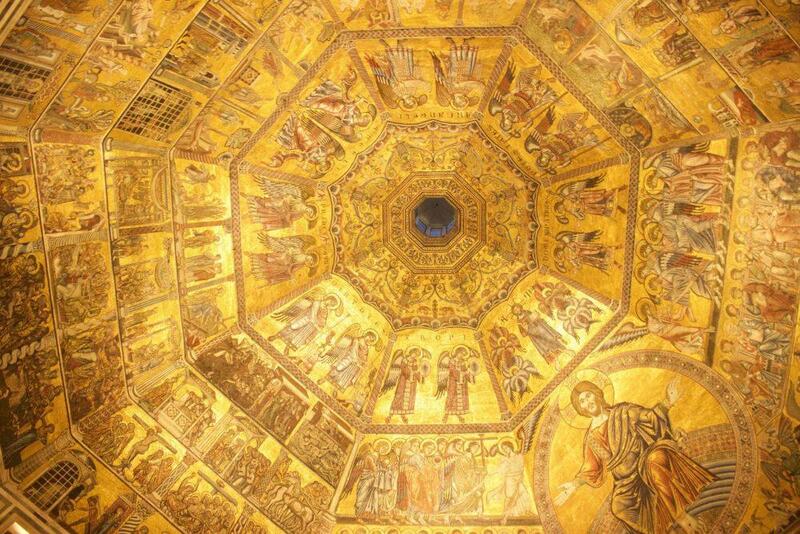 In fact, the Duomo is a complex of several buildings, including the Baptistery, Museum, Bell Tower and Dome. One ticket to the Duomo complex gains you entry to all of the buildings and is valid for 48 hours from the time of first use. Reservations are available and must be made in advance by all ticket holders, including Firenze Card holders, in order to climb the Bell Tower and Dome. Otherwise you can wait in line and enter as space becomes available, but that takes a while during the summer months and sunset hours. Don’t miss Ghiberti’s original Gates of Paradise inside the Duomo Museum. The doors at the Baptistery, where you’ll find people lining up to take photos, are merely replicas. 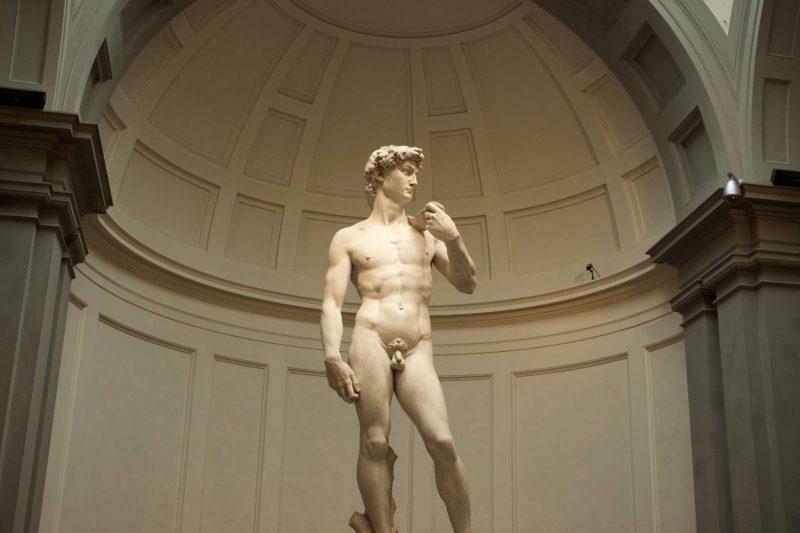 The Statue of David at the Accademia Gallery is only 17 feet tall but seems larger than life. Where so many works of art fall short of expectations (I’m looking at you, Mona Lisa), Michelangelo’s David does not disappoint. Reserve your admission ahead of time for entry first thing in the morning by booking online through the city’s website prior to your trip. While it’s in Italian and confusing to navigate at first, you get the best price buying your tickets from the city directly as opposed to a third party vendor. The other highlight of the Accademia is Michelangelo’s Prisoners, bringing to life his well-known quote, “Every block of stone has a statue inside it and it is the task of the sculptor to discover it.” Download Rick Steve’s free audio tour on your phone before you go–it’s more entertaining than the museum guide and saves you 6 Euro. The Piazza de la Signoria is a public square in front of the Palazzo Vecchio, adjacent to Uffizi Museum. During the Renaissance, it served as a political hub and city center. Today, it’s a pedestrian area where you’ll find vendors, horse drawn carriages and street performers, but the main draw is the outdoor art museum it holds. 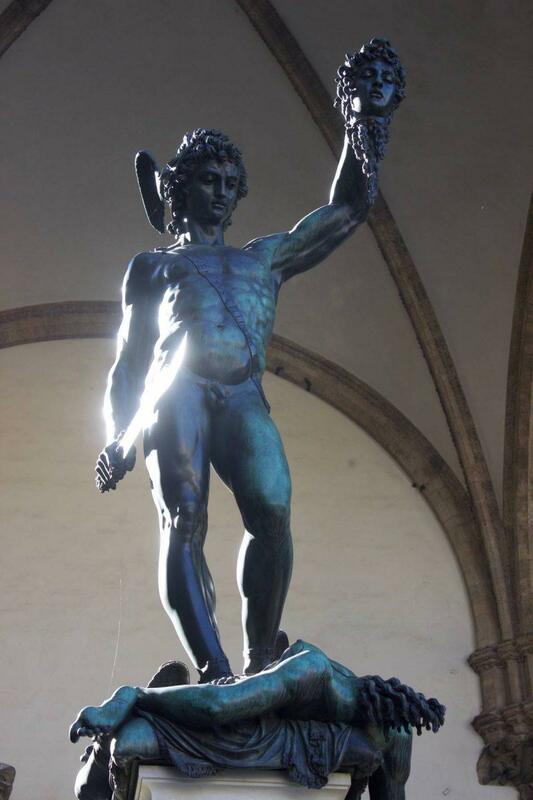 The Palazzo Vecchio has a full sized replica of the Statue of David facing the square. The Loggia dei Lanzi, an arched and open-air building, houses Perseus Holding the Head of Medusa and the Medici lions. In the middle of the Piazza you’ll find the famous Fountain of Neptune. In any other city, you’d have to pay admission to view works of this caliber, but Florence has so much art it’s literally overflowing into the streets. The square and its sculpture collection can be enjoyed 24 hours a day, 7 days a week. 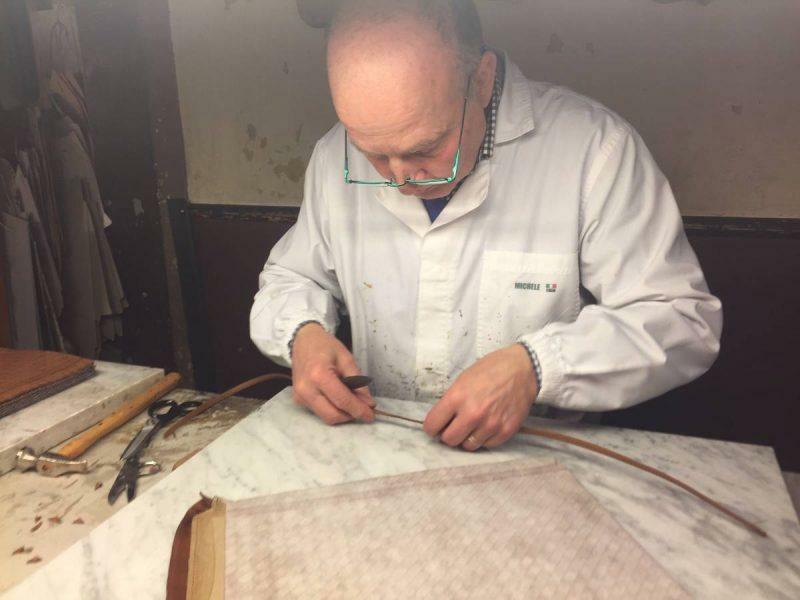 Florence is known for fine handcrafted leather, and the best place to buy leather products is at the Scuola di Cuoio. Don’t let the name fool you—this may be a leather school but the merchandise is far from rudimentary. You’ll find expertly crafted jackets, purses and accessories from belts to portfolios. Tours are available for small groups only but visitors can see craftsmen at work as they peruse the available merchandise. You pay more for leather items here than you might at other stores or markets throughout the city, but you can rest assured knowing that what you’re buying is the highest quality Florentine leather. Mercato Centrale is an indoor food market in the center of the old city, housed in a warehouse setting. 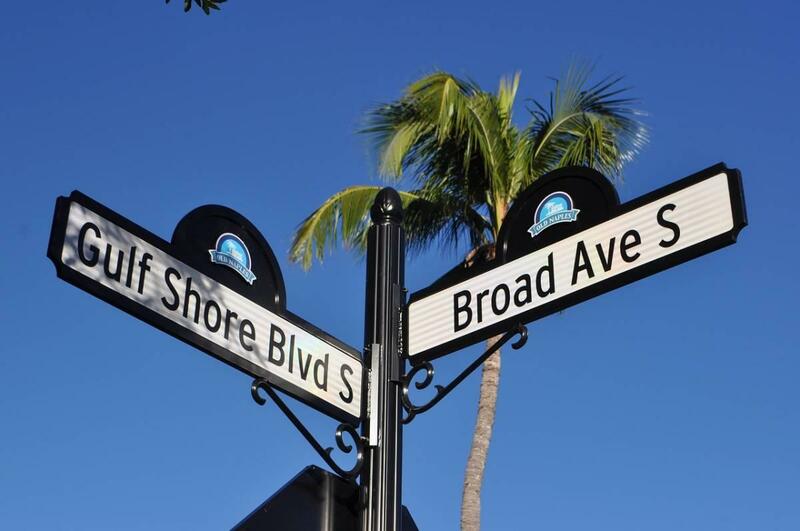 It’s open late, 7 days a week, and filled with specialty shops, bars and restaurants. There are tables everywhere but finding a seat can be hard because it’s so popular. This is your one-stop for gelato, pasta, vino and steak all under one roof. 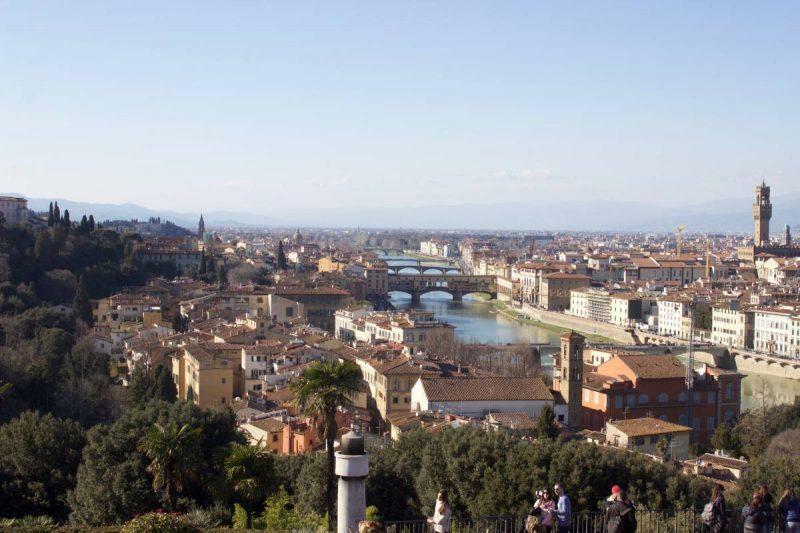 Want picture perfect views of Florence? Head to Piazza Michelangelo. This is the one site in Florence more easily accessed by taxi or bus than by walking. The square overlooks the Ponte Vecchio Bridge and provides a postcard-worthy shot of the city. ‘You can walk to the nearby Church of San Miniato, which was built in the 12th century and features elaborate marble detail throughout. Also, Carlo Collodi, creator of Pinocchio, is buried in the church’s cemetery. You’ll be hard-pressed to find someone unfamiliar with the Leaning Tower of Pisa, the world’s most famous architectural blunder. The city itself offers little more to tourists than the Pisa complex, however, making this the perfect half day trip to take from Florence. 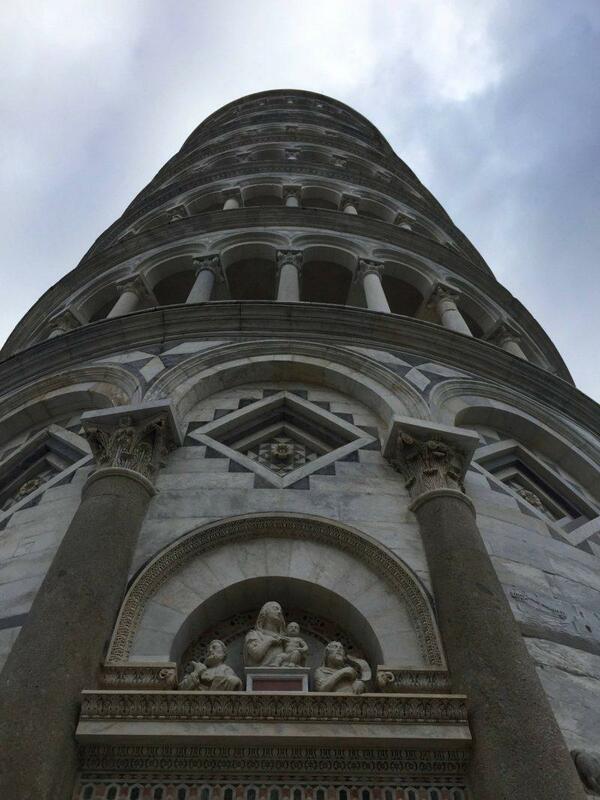 Like the Duomo, the Pisa complex consists of several buildings, including the Tower, Baptistery, museum, and Cathedral. Located just an hour outside Florence and easily accessible by train, you can venture out first thing in the morning to take an iconic picture holding up the Leaning Tower before the crowds hit and be back by lunchtime. Pitti Palace is brimming with artwork, so much so that maps are provided to help you navigate the walls. But on a nice day there’s no better place to be than the palace’s backyard, the Boboli Gardens. Fans of Dan Brown’s Inferno novel will recognize the gardens from the book’s thrilling chase. Spanning more than 100 acres, the gardens are expansive and offer stunning city views. 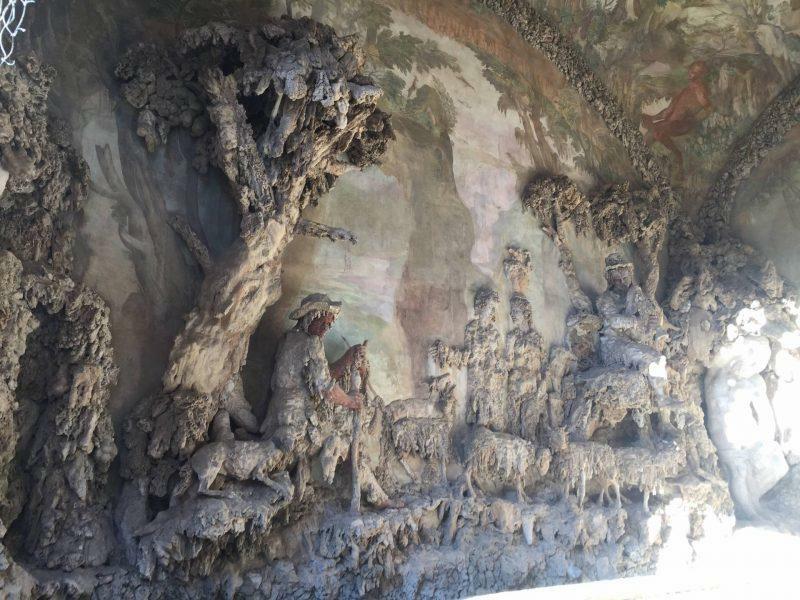 Art fans will also enjoy visiting the Bountalenti Grotto, featuring fairytale forms and frescoes on the walls. Access is extremely limited, with guests only allowed to enter for five minutes a day at precisely 3:30pm. 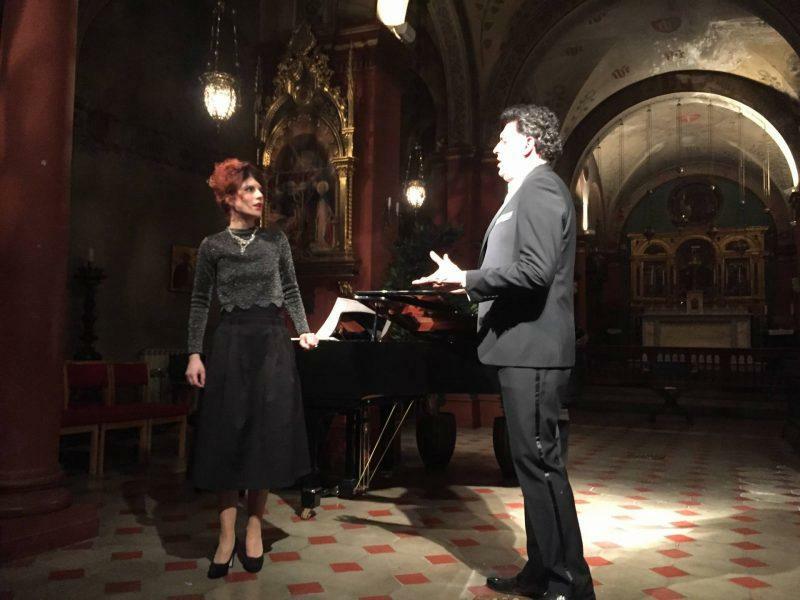 There is no more authentic venue to watch live opera than St. Mark’s Church. Situated just 2 blocks away from the Ponte Vecchio bridge, it is an active church that still holds weekly services. The setting is intimate, with seats spanning three rows back around the perimeter of the venue so attendees are only feet away from the performers. Your ticket also includes a complimentary drink during intermission, a steal at just 25 Euro. 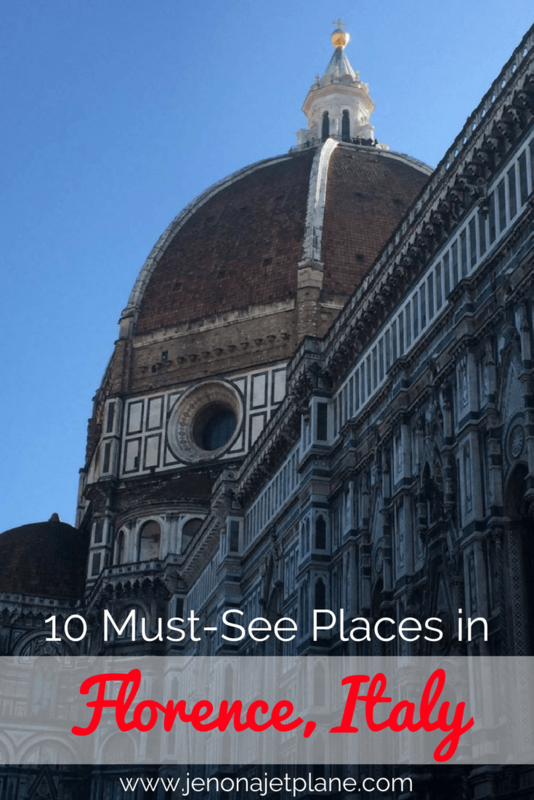 An obligatory mention on the list, the Uffizi galleries are impressive but the museum is always crowded, making it difficult to enjoy or even view the art. If you can’t imagine leaving Florence without seeing Boticelli’s Birth of Venus for yourself, aim to go at the end of the day when most of the tour groups have cleared out. If you haven’t been to Florence, you haven’t full experienced Italy. 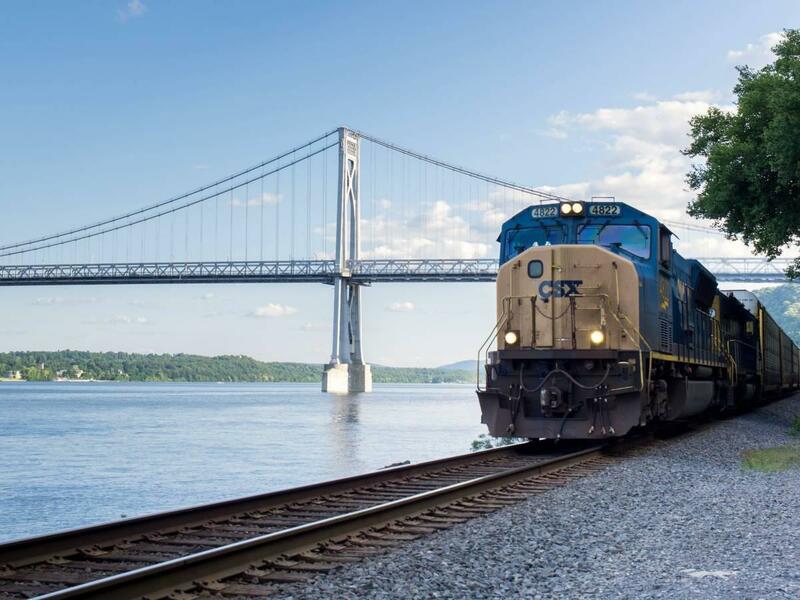 Make sure the city and its top attractions are on your must-see list. 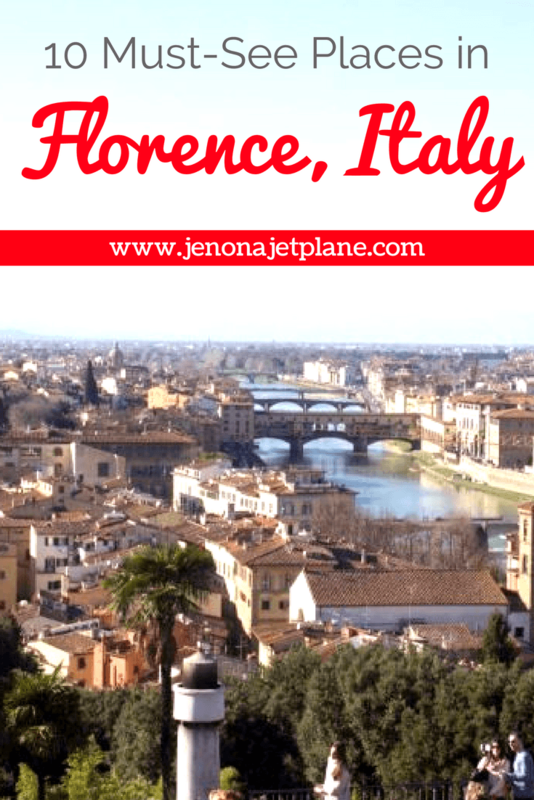 Let me help you make the most of a limited time in Florence! 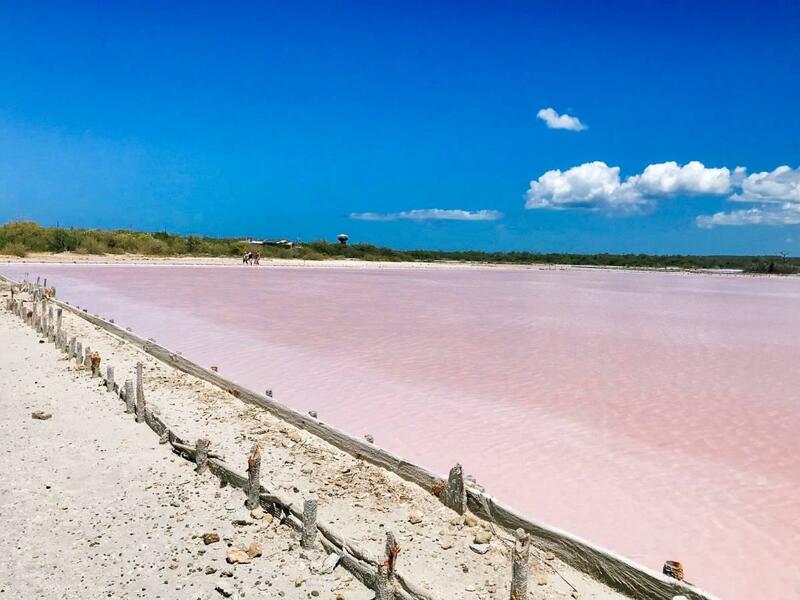 Click to download your FREE itinerary. You brought up David Brown as the literary reference to Florence. I was completely thinking Hannibal with the Doumo. I think that was in the book and not the movie but it all blends together after a while. I love the layout of this post. You have useful tips, great photography and relevant back links scattered throughout this article. I love love love love what you are doing. Italy is such a beautiful place to visit. I never made it to Florence, but I did get to Rome and the surrounding area. I love the history and architecture!! I would love to go back and visit other areas such as Florence in the future! It is my dream to visit Italy one day. But with so many beautiful cities, I have no idea to visit first. Your post convinced me to make Florence my first stop! 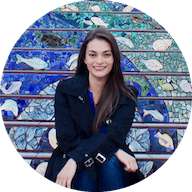 I gotta check out Piazza de la Signoria and watch opera at St. Mark’s Church! Italy is still on my to go list! And Florence is definitely a must see when in Italy! I love to see all the art works at Uffizi galleries. I’ve been to Florence several times and love it. I have yet to visit the leathermaking shops, although I did buy several pairs of Italian shoes. The fashion and art industry is alive and well there, but I always seem to focus on food! I went to Florence back in 2006, but was only there for 24 hours. We waited in line to see the David and missed it because we had to catch our train back to Rome! One of my great regrets about our Italy experience. Next time, I’ll try to make a side trip to Pisa too! Glad you had a great time! What perfect timing! I love Florence, and I’m heading back for a visit in early September. It’s one of my favorite places in the whole world, and it was great to read through your list of things to do — and I agree with all of them. Super set of suggestions! We just came back from Florence a month ago, this makes me miss it so much! I wasn’t overly ecstatic about Florence to be honest, I’m in the minority when I say that I’m neutral about Italy in general… BUT we really enjoyed Accademia Gallery and doing a day trip out to Siena and San Gimignano. I 100% agree on getting the Firenze card! I wish I had done that! Great post. I just got back from Florence and it made me miss it!! This is such a good balance of different types of activities! I always love visiting food markets, so I’d have to hit Mercato Centrale for sure! And the Scuola di Cuoio for leather goods and the Opera sound like unforgettable cultural experiences. Great post! I am so excited and grateful for your post. My new husband and I are heading to Florence in Sept for our belated honeymoon. It has been my dream to travel to Italy for many years. I am concerned though we are not spring chicken couple and in fact I have mobility limitations. Do you know if any of the sites have services for the disabled. I am so blessed to be able to take this trip of dreams with the love of my life. Thank you for all of the suggestions and any help. I’m so excited for you Lisa-Dawn! Absolutely, a lot of the major museums and attractions are wheelchair accessible, including the Uffizi and Accademia. I’d say your biggest concern would be lodging since I know lifts aren’t common, but if you find a hotel that’s accessible it sounds like you’re in for an unforgettable, and long overdue, honeymoon!